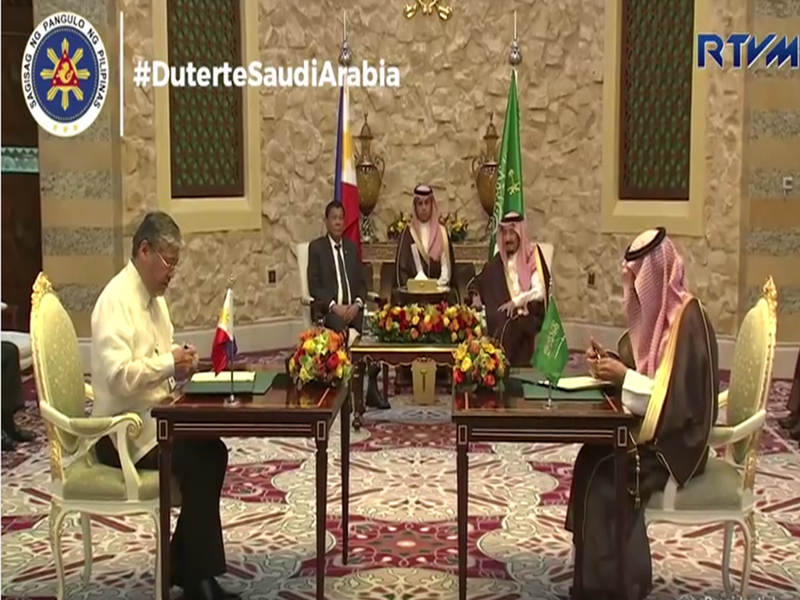 In a press briefing with Duterte’s media delegation at the Philippine Embassy Monday morning, April 10, Riyadh time, Arribas said that the three agreements to be signed will be on foreign consultation, labor, and foreign service. Cooperation program between the Philippine Foreign Service Institute (FSI) and the Prince Saud Al-Faisal Institute of Diplomatic Studies. The Department of Labor and Employment (DOLE) and Saudi Labor Ministry will sign a social development basic agreement that seeks the protection of Filipino workers who are already in the Kingdom and for those seeking employment. Arribas added that the labor agreement to be signed will further improve the previous agreement on the deployment of household workers between the Philippines and KSA. Lastly, Arribas also said that the signing of the memorandum of understanding for cooperation between respective foreign institutes and diplomatic academies will enable the two countries to operate on foreign service institute. Mohammed bin Salman bin Abdulaziz. 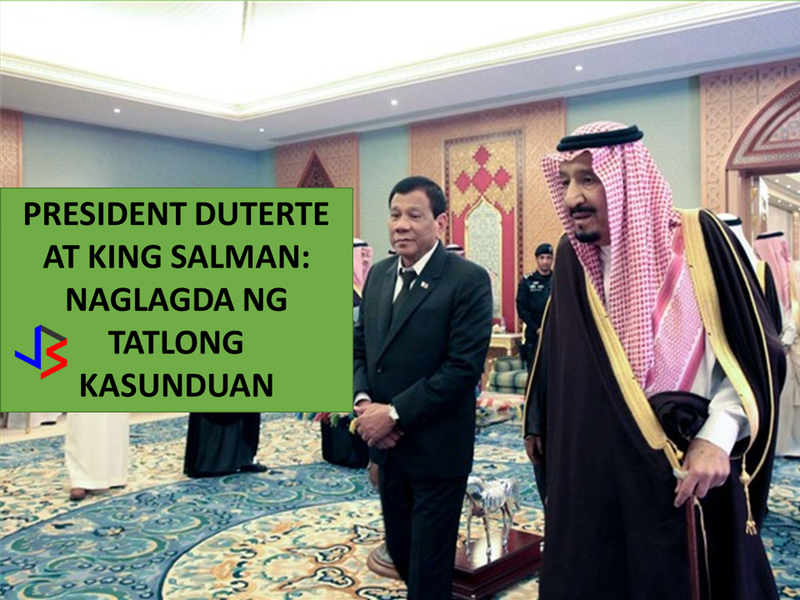 Duterte will be in Saudi Arabia from April 10 to 12. 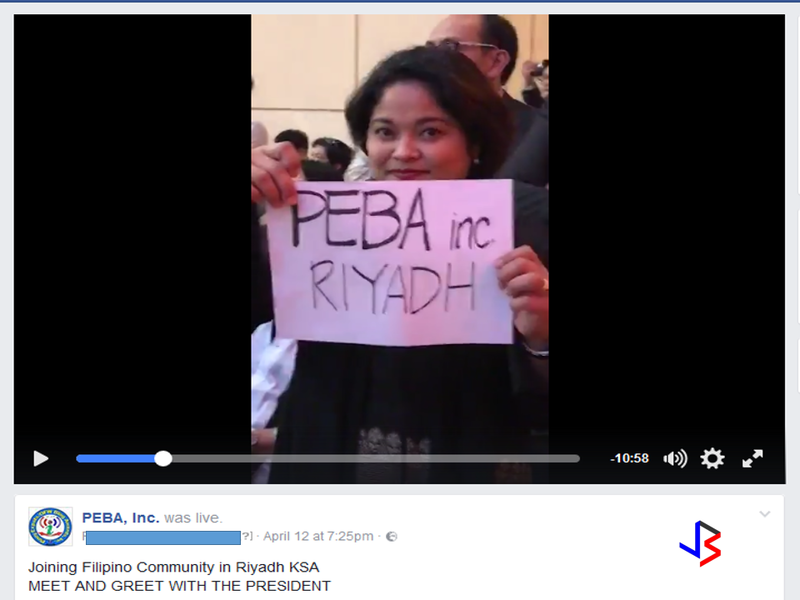 PEBA Inc. was one of the attendees during Filcom leaders meeting with President Duterte on April 12, 2017. There are about 1.2 million OFWs in Saudi Arabia. The place where President Duterte visited first with his cabinet members. 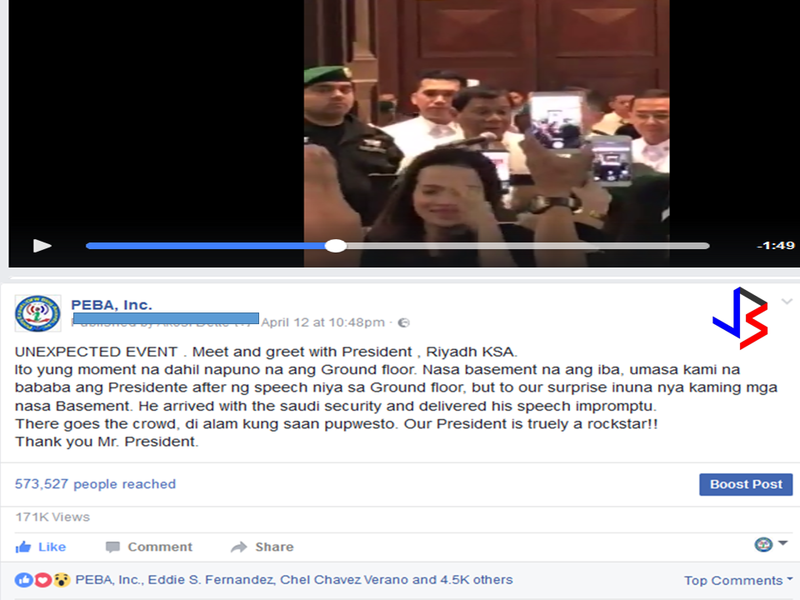 Duterte's visit earned so much positive reactions with the fact that it garnered about $469.43M worth of Philippine project. These projects can generate 15,950 jobs for the Filipinos. The Middle East, mainly the Gulf countries, is the second-largest source of remittances, with 28 percent or almost $7.6 billion sent to the Philippines in 2016 alone. In the three countries, Duterte will “explore partnerships in tourism development, halal food security, Islamic finance, energy security and investments,” said Hjayceelyn Quintana of the Philippine Department of Foreign Affairs. “He will invite these countries to invest particularly in Mindanao as a way of lifting Mindanao out of poverty and conflict” between the army and Filipino Muslim rebels. 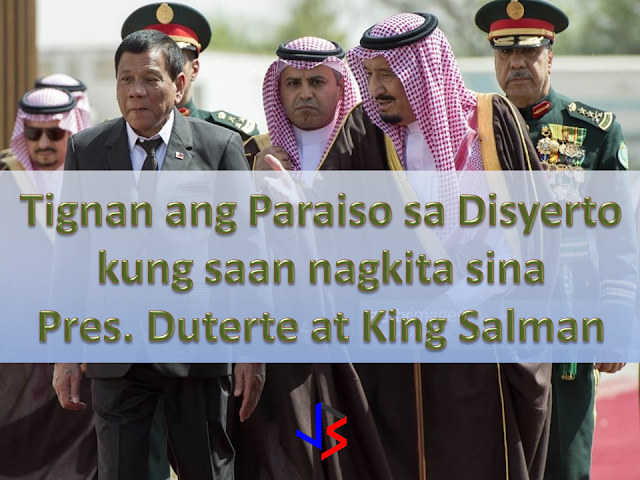 Abdul Gani Macatoman, co-chairman of the Foreign Chamber Council and a member of the presidential team, told Arab News that Duterte will focus on attracting foreign investments to his country’s halal industry.